Drywall is one of those things you always notice in a home or in the apartment. Drywall is a standard of nearly all modern homes, and it can happen to see almost everywhere. The drywall is much lighter than any other material wall. At is specified portable and found most modern homes apartments in Dubai. The best thing about these walls that these walls are fire resistant, which makes it an ideal home construction resource. 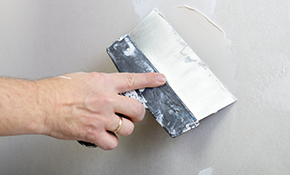 While drywall is bulky, it can be punctured, chipped, or If it is damaged or dented. 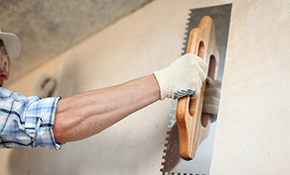 Drywall damage is a common accident in most of the homes over their lifetime. Whether or dented. Drywall damage is common to holes from nails. And for good reason, most of the drywalls holes are easy to repair and to fix for an experienced. Drywall kits can be found in almost all the hardware shops in Dubai. Correctly patching a drywall hole can be a tricky and sometimes it consumes most of the time and if it is not fixed accurately then it will be a big loss of money too. The process especially involves covering the area around the hole with a thin layer of joint compound. If you want to install the new drywall installation then call the professionals and let them work for yours. Installing new drywall from scratches is somewhat more complex than simply patching a hole in existing drywall. You won’t believe that installing new drywall is much easier than the plaster walls, the process can take some time and can be difficult, especially for a beginner or by oneself due to some weight of the boards. Of the measurements are perfect then the wall becomes stronger than any wall. Samraa Maintenance has the qualified experienced handymen who can easily Drywall Repairing Service and can repair any type of damage to the wall as well. So just call us and let us know our location, our supervisor will come to your place at your decided time. Call us today for a free quote. Hi, I need a portion of drywall repaired on the stairwell of my villa at springs 3.